Amanda Quick is Jayne Ann Krentz is Jayne Castle. She is with all her pseudonyms one of my favorite authors. In her most recent book, she is writing as Amanda Quick, which means the book is an historical romance with some mystery (usually). However, she threw me for a loop this time, because the book takes place during the 1930s in Hollywood, not the regency period. Our main character finds herself in the midst of a murder with a note left to her saying run - so she did. She ends up in Hollywood as a reporter named Irene Glasson, who is investigating another murder, but this time at the exclusive Burning Cove Hotel run by the ex-magician Oliver Ward. Oliver does not want anything to muck up his hotel, nor does he wish to allow a murderer to go free so they band together to find out what happened and why. Along the way, there are explosions, more dead women and sneaky, arrogant men. Irene’s past shows up to capture her and everything begins to unravel. 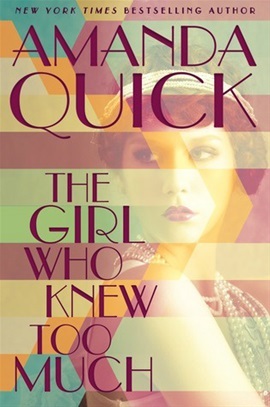 The Girl Who Knew Too Much by Amanda Quick is a good read. The Duke Who Ravished Me by Diana Quincy was an historical romance novel. It looked like it was following traditional line. Duke becomes a guardian to two young twins. Governess is a bit of termingine. However, there were some twists to the story that I didn't see coming, but certainly added to the plot line! Adam Fairfax is a reprobate. He is the Duke of Sunderford and living a life of excess, when Isabel Finch and her two little girls came to his house to live. Neither of them enjoy the other and seem to be constantly at odds. To make it more interesting, they seems to have chemistry between them. The twin girls slowly worm their way into Sunderford’s life. He finds himself falling for them and changing his lifestyle slowly. The Isabel Finch, the governess was still a bit mysterious as some information begins to emerge, but there is still some surprises to come. The characters of Isabel and Sunny (the Duke’s nickname) were fun. The story has some interesting twists that kept you reading! The Duke Who Ravished Me by Diana Quincy was a fun read. The Marquis and I by Ella Quinn is the fourth book in The Worthington series. The Worthingtons are a large family connected by love and family. The woman are intelligent and bold. They have the need to share their commitment to their family and causes with their spouses, but not all men are able to man up. Lady Charlotte loves her family and is the last of the “graces” to get married. She wants to marry someone she can love and who can love her back. She has strong opinions about women and children and how they are stolen, kidnapped and sold… Due to her family and their work with taking down a woman who promoted women's servitude (kidnapping women and selling them), Charlotte is kidnapped off the street in front of her house. Constantine, Marquis of Kenilworth was driving by her house and decided to help save her…. That’s where the story gets interesting. Charlotte and Constantine are fun together - even when she is mad at him. I enjoyed the story of their romance. The Marquis and I by Ella Quinn is a fun read. 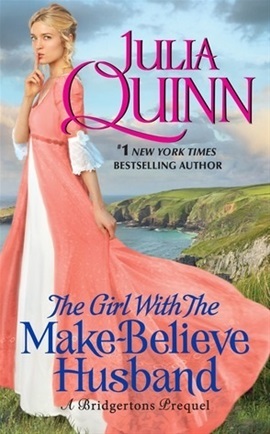 The Girl with the Make Believe Husband by Julia Quinn is the second book in the Rokesby Series. The book follows the Rokesby brothers as they find love. Edward, one of the younger sons, joined the army and was shipped over to the American colonies. Cecilia Harcourt found out when her father died that she was to be put under the guardianship of a horrible cousin, who immediately tried to force her to marry him. Cecilia knew her brother stationed in the American Colonies must be alive and can save her, so she puts all the money she has left together and sails to the colonies. Cecilia did not find her brother, but did find his best mate, Edward Rokesby. Edward has been badly hurt with a head injury. Cecilia pretended to be his husband in order to care for him and to help find out about her brother. Edward wakes up with no memories. That’s when things get interesting. The book was interesting. I liked the amnesia part and how Cecilia reacted to Edward. The Girl with the Make Believe Husband by Julia Quinn was a good read. The Other Miss Bridgerton by Julia Quinn was the third book in the Rocksby series, which is a series that is a Bridgerton Prequel. Julia Quinn is one of the best historical romance writers. Her books always contain interesting characters and storylines. In this particular novel, we are introduced to Poppy Bridgerton. She is intelligent during a time when women were not expected to be educated or intelligent. She is curious and needed some time out of the limelight of the ton. She has had two seasons but hadn’t found an intelligent man to marry. Poppy was exploring the beach near a friends when she discovers a cave and she starts to explore. Only to be found by two men, who then kidnapped her and brought her on a ship. I read this book quickly and found the story to be compelling despite the commonality of storyline. I enjoyed how Poppy and Andrew found common ground and their repartes. 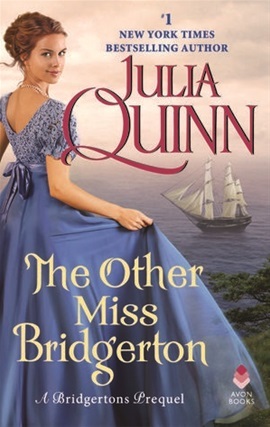 The Other Miss Bridgerton by Julia Quinn was a fun, romantic read. The Alice Network by Kate Quinn is a fabulous read. It contains a story too real to be fiction, but too outrageous to be real. Kate Quinn introduced to us a spy network of women during WWI, the amazing work they did, and the consequences they faced. WOW. The story is told in two different times, during WWI before Verdun in 1916 and a couple of years after WWII. Charlie St. Clair, an unmarried pregnant college girl is on a quest to find her cousin Rose. Her road leads her to Eve Gardiner, a woman with severely crippled hands who survives between bouts of whiskey. Finn is her driver and looks after Eve. The three of them leave to find answers. The story moves back and forth between Eve slowly giving up answers or sharing memories and Charlie’s search for Rose. I loved the different voices between the times. I loved how the tension Kate Quinn wrote in between the characters made you feel like you were there. I found both storylines fascinating and felt so strongly about the three women - the three flowers and their strength. I hope this story wakes people up to the sacrifices many make during war. 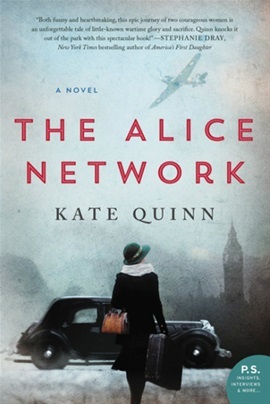 The Alice Network by Kate Quinn is a fabulous read that will stay with me for a while. 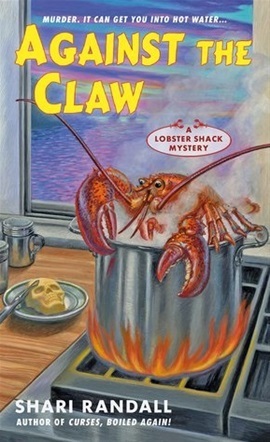 The Lazy Mermaid Lobster Shack in Mystic Bay is back in the second book named Against the Claw. Shari Randall has written a fun cozy mystery. Ballerina Allie Larkin is still attempting to heal her broken ankle. She has been helping her aunt out at her lobster shack. There have been lines of tourists and plenty of lobster rolls to go around. Even her sister Lorel has been pitching in. Allie ends up helping empty lobster traps with a friend only to find a dead body. From here we are launched into an investigation of who this unknown person is between cracking lobsters and getting ready to cater a huge party for the nearby celebrity, where still another murder victim is found. Allie has friends that help her out investigating and a town with different characters that could have something to do with what is going on. The mysteries are interesting. The setting with the lobster shack is different and the situations are worthy of Jessica Fletcher. Thank you NetGalley for the opportunity to read this book. Against the Claw by Shari Randall was a good read. Katy Regnery has started a new series called Arrange Me. The series is based on the idea that arranged marriages by someone who knows each party is better than dating loser after loser. At least that is Courtney’s thoughts and she has applied to Arrangeme.com. She is ready to be married and have a family. After all, arranged marriages are part of many societies. Too bad, it can’t be someone she knows. After all, she has everything else she needs, a great job, friends, family - but she wants to be married. This is not my favorite book that Katy Regnery has written. I did not connect with the main character, nor did I find the premise realistic. However, I found myself swept away within the story despite my reservations. I think this is a book that many of Katy’s fans and soon to be fans will enjoy. 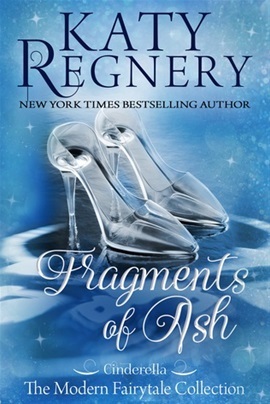 Fragments of Ash by Katy Regnery is the seventh book in her Fairy Tale Series. According to Katy, this is a dark and twisted version of Cinderella. As with all of her books, the main characters are complicated people with both good and bad. They grow and change through the book harboring the desire to live a life of love and hope. Ashley is the secret daughter of Tig, a famous model. She has been dragged all over the US and dealt with her mother when she was high, drunk, and all the ups and downs of a hooked celebrity’s life. Until Tig married Mosier Răumann. He seemed to offer her a world of security, instead he gave her a world of hell and Ashley was shipped off to a boarding school. From here the story gets twisted and you fear for Ashley. Then she found Julian. You slowly begin to hope for both of them. I have always enjoyed Katy’s book. This one was just as enjoyable for me. I loved Ashley and Julian. I loved how even amidst all the horror, there was hope and love. Fragments of Ash by Katy Regnery is a good read. Shear Heaven by Katy Regnery is a novella based on the fairy tale Rapunzel. It is a modern day story with a prince and a hairdresser, both being forced by their birth and family into certain roles. Too bad for them! Bella Capelli has been living with her Godmother since her parents died. She works at her Godmother’s business and is constantly doing some task or another. She has been in NYC working for five years and has not had the chance to explore or do touristy things, but she is learning so much about the business. Nico De’Medici came racing into the salon one day after closing desperately needing help. His sister needed someone to do an updo before a large important party. Bella agrees to help and gets them off to the party. Bella and Nico hit it off and realize that they could fall in love, but they really can’t. Bella is being forced by her Godmother to not socialize and only work. Nico has to marry someone rich to save his family - mostly his parents lush ways. Too bad for them! 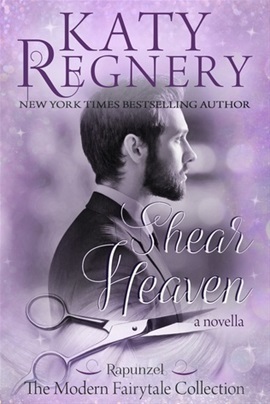 Shear Heaven by Katy Regnery is a good read. Always look forward to your weekly blog, Marti ... safe travels this week. Merry Christmas! Happy Birthday! I remember when book club started when you turned 50. OMG! 100% agree with political status. So disappointing. Happy Foliage! Outraged, too! It is just getting coverage. This government is shameful under this leadership.